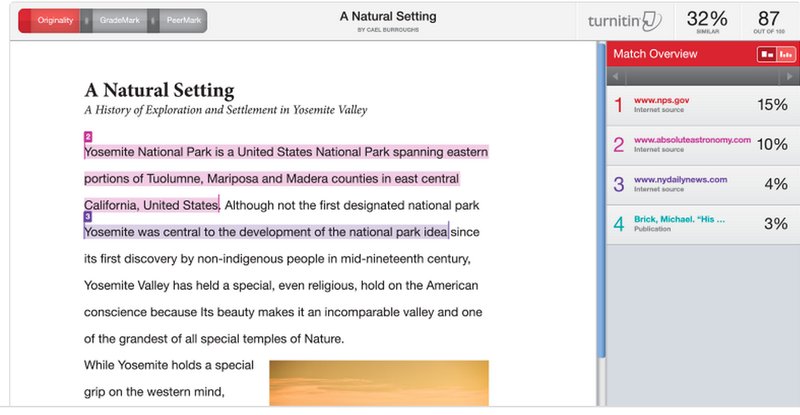 Turnitin uses pattern recognition algorithms to check for plagiarism and improper citations in students papers. 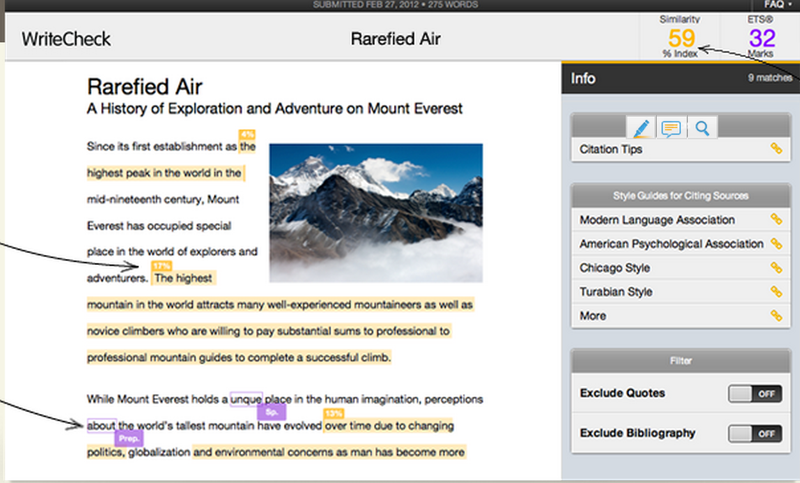 Using Originality Check, teachers will be able to identify those unoriginal parts in students writings and will also be provided with the original sources of the plagiarized work. It is also integrated with cloud services like Google Drive and Dropbox and students can submit their assignments right from these platforms into Turnitin Original Check. Check the paper’s highlights to ensure citations are properly used. 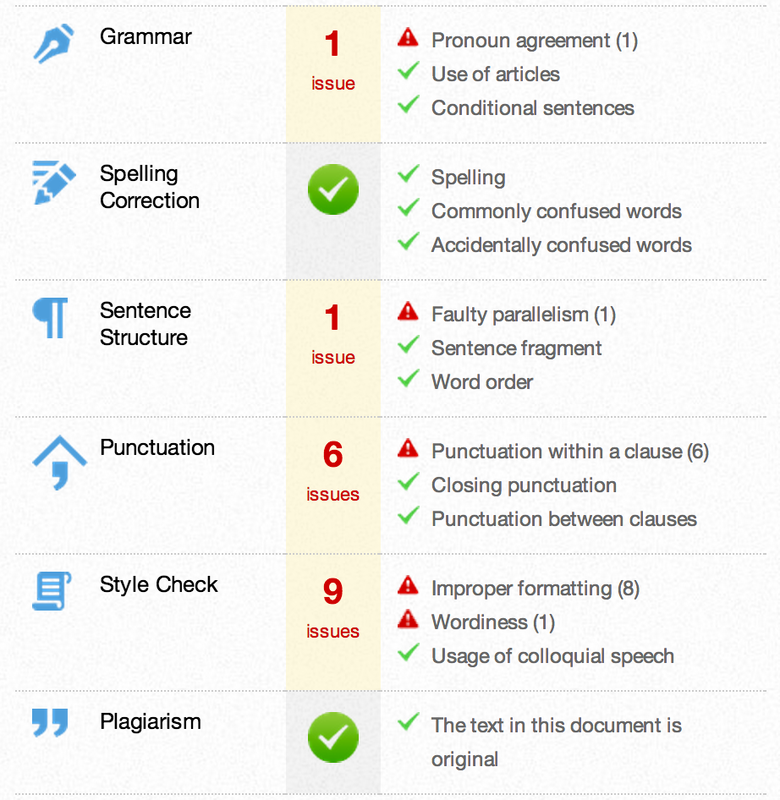 Check papers for spelling, grammar, usage and more. See how much of your paper matches content in Writecheck database.